With the recent royal engagement, it’s easy to let your mind wander a bit to the romance of the occasion. It’s intriguing to think back to the beginning of the engagement ring as a tradition. Perhaps it began as a practical symbol of functionality and grew into the grand gesture recognized today. Nature is the inspiration for the circle imagery of eternity. There are endless examples, from the Sun and its planets to the oceans’ waves and the circular patterns left on wind-swept sand dunes. Add to that the countless types of vegetation that provide shelter and sustenance, and you have the beginnings of the circle of life as a concept. There is some speculation that the idea of a ring first originated with primitive man. The theory is that they tied a type of rope around the waist of another to preserve the soul. Moving forward to ancient civilizations, some attribute the modern use of a ring as an ornamental feature to the Babylonians. Others contend that it was the Egyptians who first introduced the idea. Credible documentation can trace it as far back as the Romans. What is certain is that the notion of giving your betrothed a ring, or two in the case of the Romans, had little to do with romance. It was a symbol of ownership and wealth. The figurative aspects of a ring progressed through the Middle Ages. 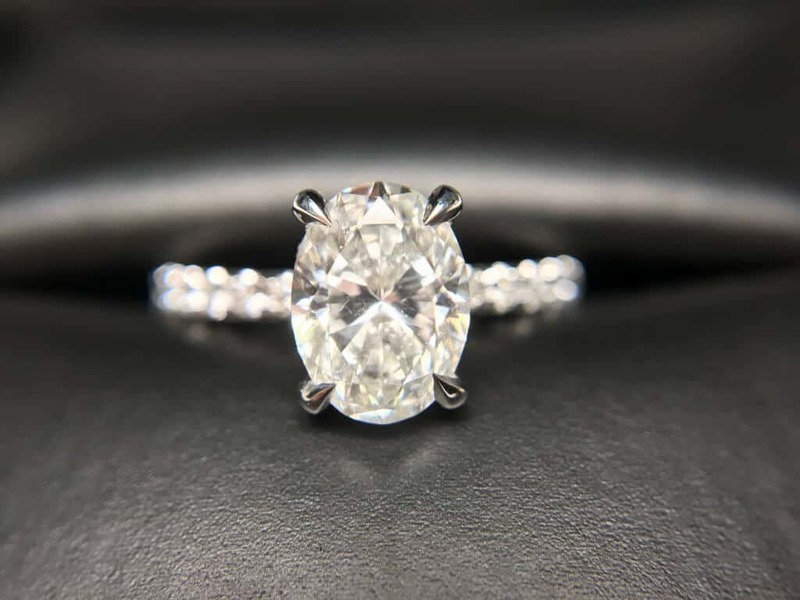 It evolved during the Renaissance when Archduke Maximilian of Austria gave his betrothed, Mary of Burgundy, the first diamond engagement ring. He set a precedent among the aristocracy in 1477, and the tradition has continued. The Victorians had some help with their romantic designs thanks to the discovery of diamonds in Africa in 1880. There was no turning back at that point. More diamonds meant more accessibility and affordability. After a slump in sales during the Great Depression and World War II, diamonds returned to the forefront as a symbol of commitment. 1900-1910: A time of growing prosperity and lightheartedness is representative of the Edwardian Era. Engagement rings reflect that sentiment. Platinum filigree designs showcase the diamonds’ sparkle. 1910-1920: The platinum metalwork continues to be just as detailed, but it takes on a heavier cast to balance the larger diamonds. 1920-1930: Modernity is reflected in the geometric shapes of the Art Deco Movement. Other precious stones add color to the diamonds and platinum setting. 1930-1940: More colorful center stones replace the expense of diamonds. The settings become more rounded. Bows and picture frame in platinum are en vogue. 1940-1950: Gold replaces platinum due to the war. Curves continue with bows, flowers, and ribbons commanding a large presence. Synthetic stones are common during until 1947. 1950-1960: The stackable ring is popular with white, rose, and yellow gold combinations. New diamond cuts, such as the marquise, are introduced. 1960-1970: Bling is the thing. This decade features a revival of both Art Deco and flowers. 1970-1980: Past traditions are replaced with modern square, radiant, and princess cuts. 1980-1990: Engagement rings reflect this big, bold decade. Another royal wedding showcases the large sapphire encircled with diamonds. 1990-2000: Engagement rings feature brilliant-cut solitaires or triple stones. Platinum metalwork features clean lines. 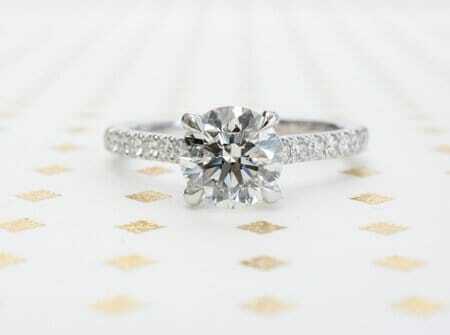 2000-Present: Cushion cuts and a single-stone setting with a halo of diamonds surrounding it. More recently, rose gold and oval cut diamonds have increased in popularity. We create your jewelry from scratch, or replicate & modify something you saw and loved. It starts with a free consultation and with a jewellery designer and 3D rendering. Our products come with comprehensive and free: cleaning, maintenance and re-sizing. We guarantee the best possible pricing. If you find a better price online, we will match the price for any ring, gemstone or diamond of the exact same quality and weight. © Jacob Mercari Inc. All rights reserved. We are here to help. Ask a question or request an appointment below.